By Jack Martin December 4, 2012 December 4, 2012 Advocacy, Governance, Government Legislation, Reports, YALSA Info. Attended the 2012 YA Lit Symposium in St. Louis, Missouri and had a blast meeting all of the amazing attendees and authors! I’m really looking forward to 2014’s event, October 31-November 2 in Austin, Texas! Worked closely with the YALSA Office, Linda Braun and the Forum Advisory Council to hone the details for the upcoming National Forum on Libraries and Teens summit in Seattle this January. Thanks to all of our members who applied! 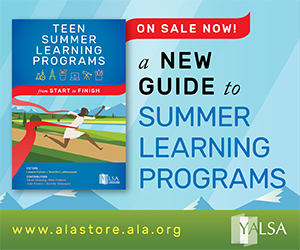 Learn more at www/ala.org/yaforum. 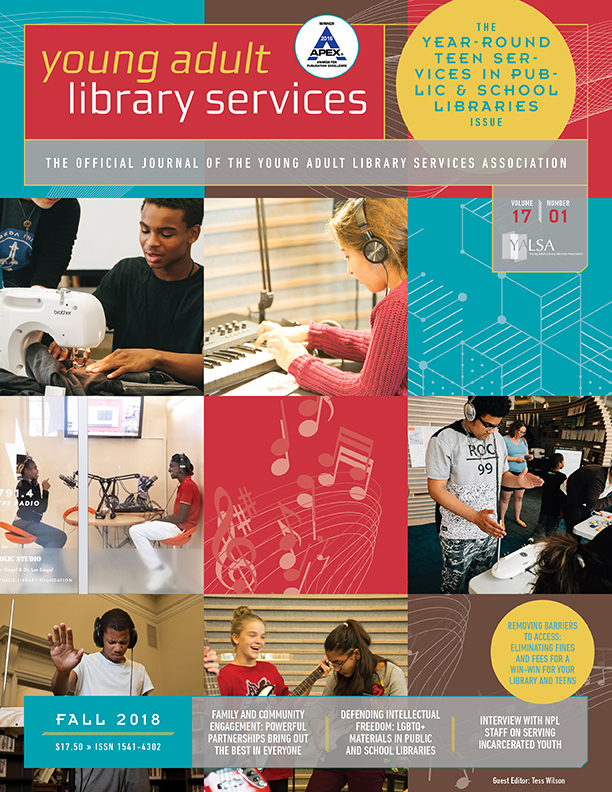 Participated in Giving Tuesday, a special after-Thanksgiving national fundraising effort to help YALSA build support for our Spectrum Scholarship. 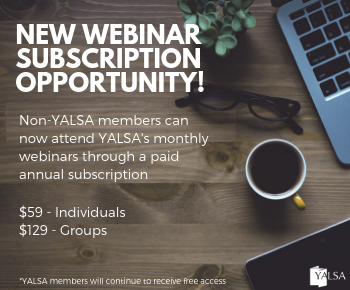 Worked with the YALSA office to develop a new training module for Selection Committee Chairs. I’m looking forward to chatting with chairs and committee members on December 6 and 13! Chaired the November board conference call. 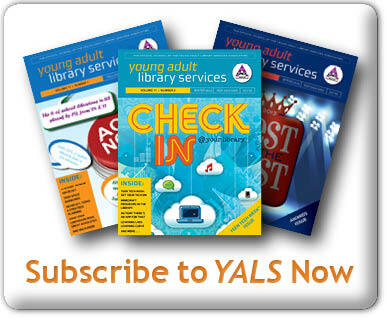 It was great hearing about all of the exciting work that YALSA’s committees, juries and taskforces are doing. Minutes will be posted in the governance section of the website. Worked with the Executive Committee to review applications for the YALSAblog Member Manager position and set up phone interviews. 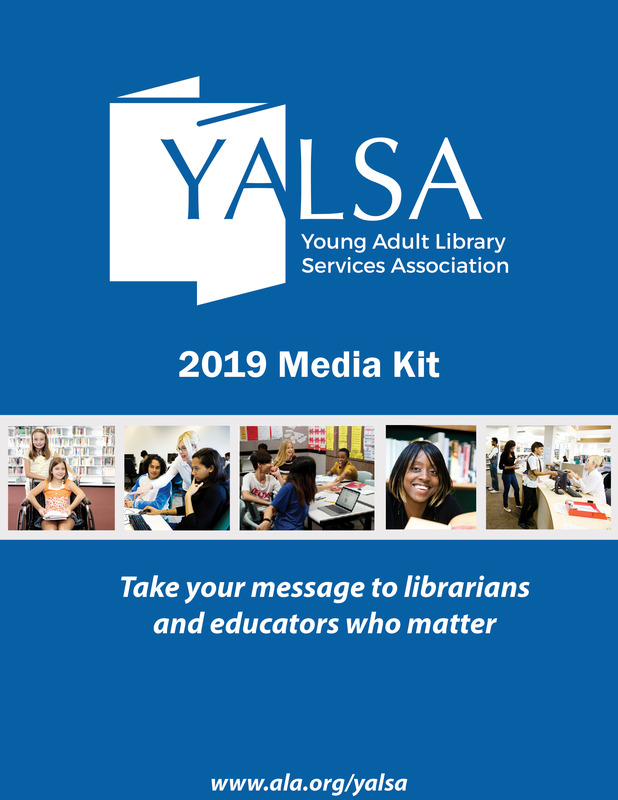 Worked with the YALSA office to develop a press release to promote our Giving Tuesday efforts. As of October 2012, there are 5, 218 members, down 1.3% compared to last year. Donations in September: $525 total ($10 for Morris Endowment, $60 for Leadership Endowment, $25 for Books for Teens, $430 for Friends of YALSA). Donations in October: $80 total ($35 Friends of YALSA, $30 Books for Teens, $15 for Leadership Endowment). Thanks to the amazing, fantastic YA Lit Symposium Taskforce for creating such an engaging, inspiring, jam-packed roster of events for the 2012 symposium. From designing the programming to creating a warm, friendly, welcoming, learning atmosphere, you all did a terrific job. Thank you! Thanks to the Financial Advancement Committee for all of its efforts in launching Giving Tuesday this past month. So far we’ve raised $800 of the $6500 we need to support another year of our Spectrum Scholarship. It’s not too late to make a donation: www.ala.org/givetoyalsa/give.